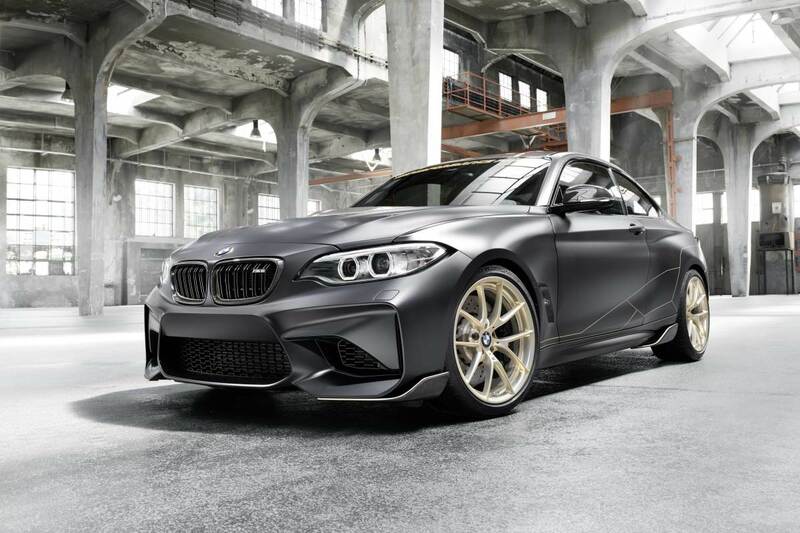 Lightweight upgrades inspired by motorsport. 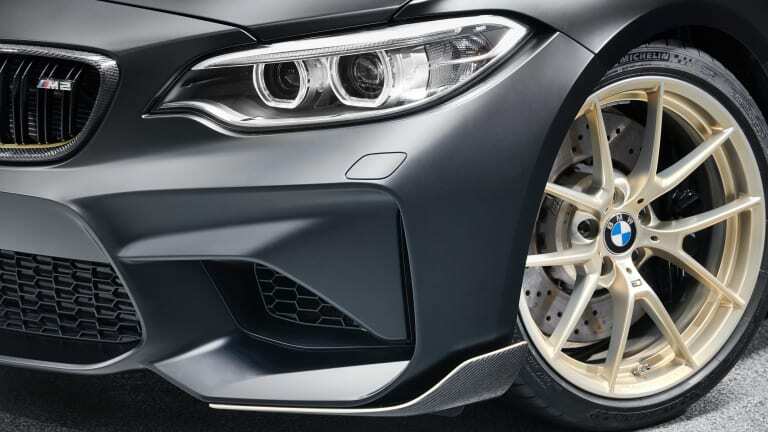 Inspired by its racing program, the new M Performance Parts Concept combines aggressive aesthetics and performance enhancements through a lightweight kit that saves 130 lbs and enhances aerodynamics. 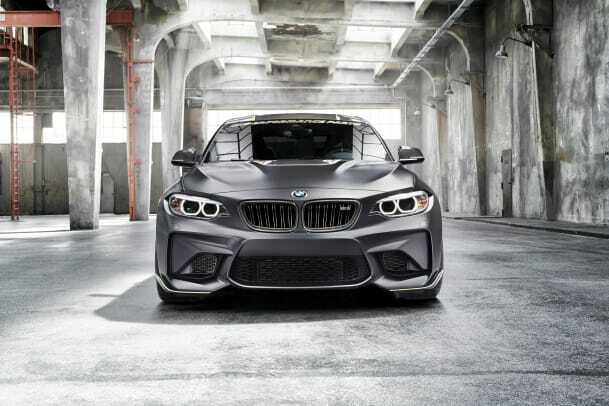 These weight-saving elements include a whole array of carbon fiber upgrades such as a carbon fiber front radiator grille, side panels, front and side sill winglets, and a carbon fiber roof. 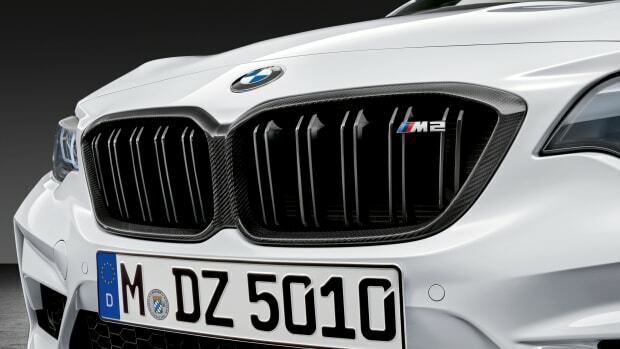 Additional enhancements include an M Performance carbon fiber tailgate, a carbon fiber rear diffuser, carbon fiber sport seats, Alcantara interior upholstery, M Performance suspension with adjustable compression and rebound stage, and 19-inch Frozen Gold forged wheels that are 13 lbs lighter than the standard wheel. 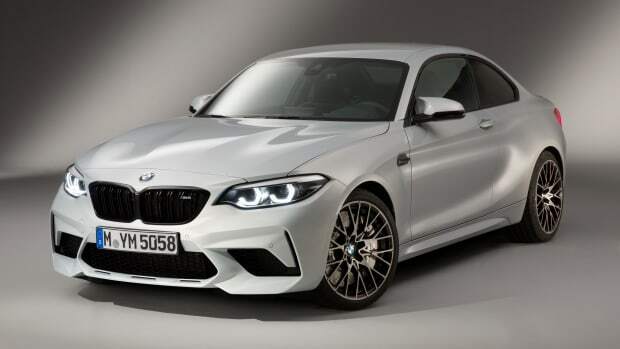 Many of the upgrades in the Performance Parts Concept are currently available or will be available in the coming months. 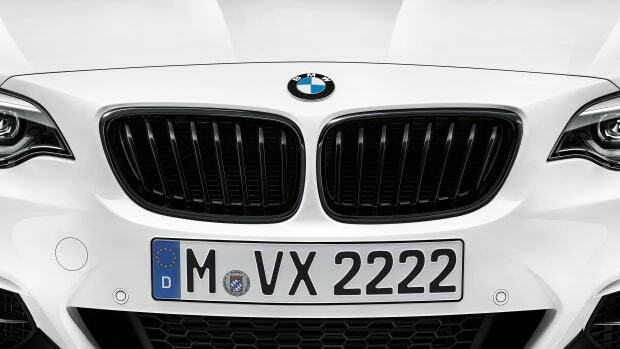 The engine is based on the same powertrain as the M3/M4.